This is a BRAND NEW custom-made ring. 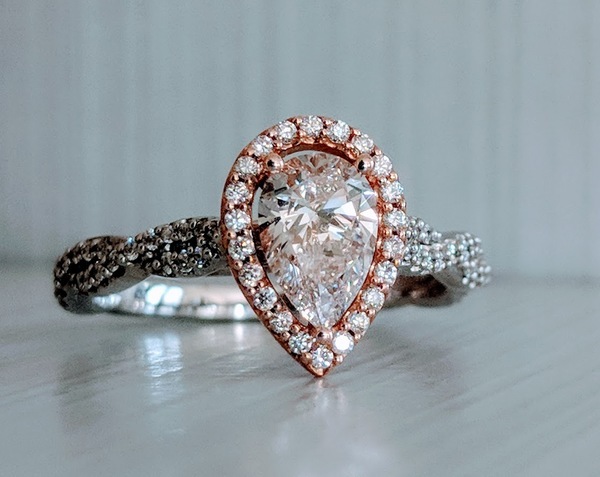 The center diamond is a 0.72 carat pear but has the face up dimensions of a full 1.00 carat and the most incredible soft pink color you've ever seen! Diamond is 100% natural and GIA certified, see the certificate in the pictures for more details. Ring is currently a size 6.5 and sizable.